If Alaska’s major national parks are a must-see on your list of reasons to visit the Great Land, then this is the tour for you! Featuring three National Parks, this fully-escorted 9-day Alaska tour includes the Tundra Wilderness Tour of Denali National Park, and accommodations near Kenai Fjords National Park. 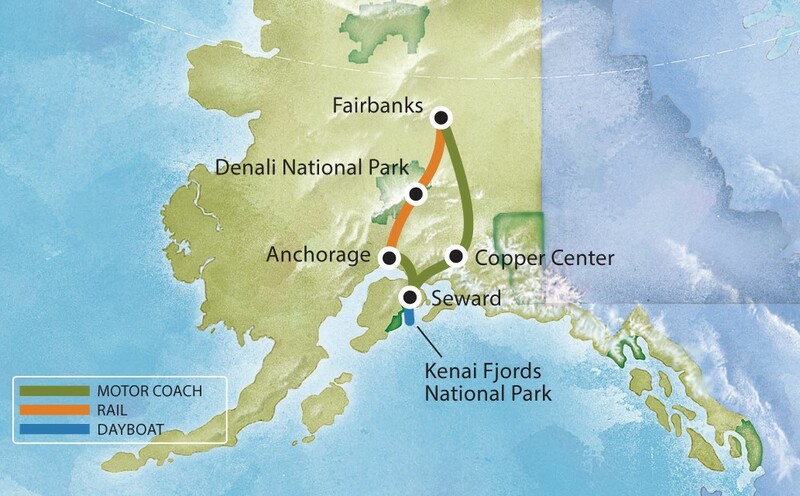 Extend your Alaska vacation with a variety of Gray Line travel opportunities, or end your Alaska tour here. We’ll transfer you from your hotel to the airport.